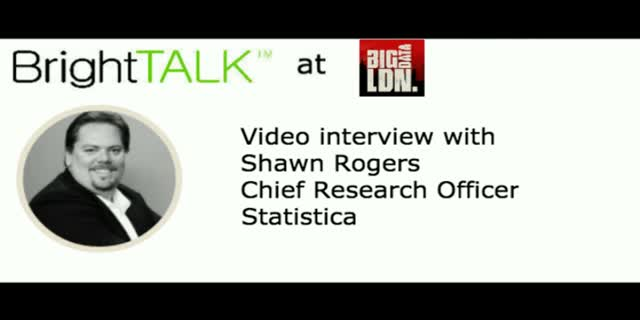 Listen to our interview at Big Data LDN with Shawn Rogers, Chief Research Officer at Dell Statistica. Shawn will tackle the often challenging topic of IoT data and give his advice for making the most out of it, as well as the common mistakes people make when dealing with advanced analytics. Shawn will also tell us a bit about The Algorithmic Economy and what it means for the data landscape in the next 5 years.